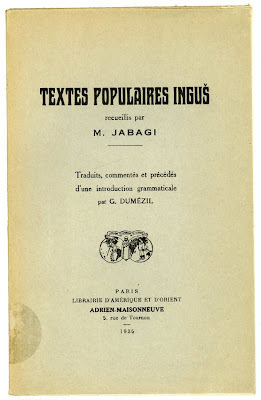 Georges Dumézil was born in Paris in 1898, the son of a clacissist, and became interested in ancient languages at a very young age. According to the Wikipaedia entry, "it has been said that he could read the Aeneid in Latin at the age of 9". Having finished school, he went to France's elite Ecole Nationale Supérieure in 1916. His studies were interrupted by the First World War (the Battle of Verdun took place the year he became a student): He was mobilized, and fought in the war as an officer in the French artillery. After the war, he resumed his studies, and obtained his agrégation in Classical Literature in 1921. He spent a few months teaching in France, before becoming a lecturer at the University of Warsaw. In 1924, he received his doctorate, having written his doctoral thesis on "The Feast of Immortality" in Indo-European mythologies, thesis in which he compared the origins of the Greek "ambrosia" and the Indian drink "amrita", which was believed to render the man who drank it immortal. Dumézil apparently found the academic climate in France rather stifling, and moved to (the then nascent republic of) Turkey. He became Professor of the History of Religions at the University of Istanbul in 1925, where he taught for six . He learnt Turkish, and travelled in Turkey, Russia, and the Caucasus. 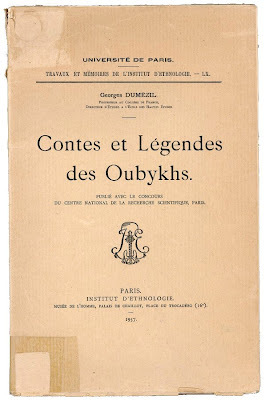 It was also in Turkey that he first came across the Ubykh language, which was to fascinate him for years, and the experience and knowledge of the Caucasus he gained during these years was to make him the foremost French (and francophone) caucasologist. He left Turkey in 1931, and moved to Uppsala in Sweden, where he taught at the University for 2 years before returning to France in 1933. Back in Paris, he held the Chair of Comparative Religion of Indo-European Peoples at the famous Ecole Pratique des Hautes Etudes. 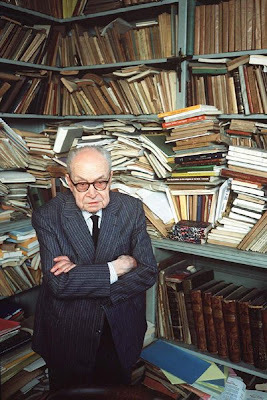 Named a member of the prestigious Collège de France after the war (1949), where he held the Chair of Indo-European Civilization (created specially for him), Dumézil would go on to teach at the Collège for almost 20 years, before moving to Princeton University (1968-1971). Prof. Georges Dumézil was elected to the 40th Chair of the Académie française on October 26, 1978, and was formally received by the illustrious Claude Lévi-Strauss - his colleague, patron, and fellow student of mythology. Doctor honoris causa of the University of Uppsala (1955), of Istanbul (1964), of Berne (1969), of Liège (1979), Associate Member of the Académie royale de Belgique (1958), Member of the Österreichische Akademie der Wissenschaften (1968), Member of the Académie des Inscriptions et belles-lettres de Paris (1970), Honorary Member of The Royal Irish Academy, Section of Polite Literature and Antiquities (1974), Honorary Fellow of the Royal Anthropological Institute of Great Britain and Ireland (1974), Prof. Georges Dumézil died on October 11, 1986.